Jonathan Simkhai tank in delicate silk and lace. For in-store inquiries, use sku #2478199. 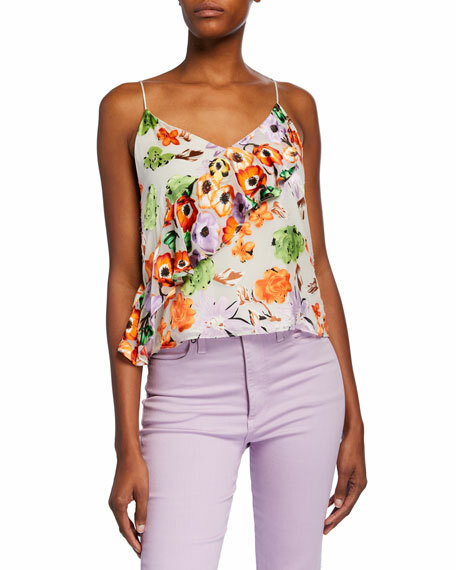 Alice + Olivia "Harmon" tank in floral-print. Cowl neckline. Sleeveless. Relaxed fit. Slightly cropped. Slipover style. Viscose/silk; silk combo. Polyester/spandex lining. Dry clean. Imported. Alice + Olivia "Lavonia" floral-print tank with draped ruffle detail at front and back. V neckline. Sleeveless. Semi-fiited. Slipover style. Viscose/silk, shell. Polyester, combo. Polyester/spandex, lining. Made in USA of imported material. 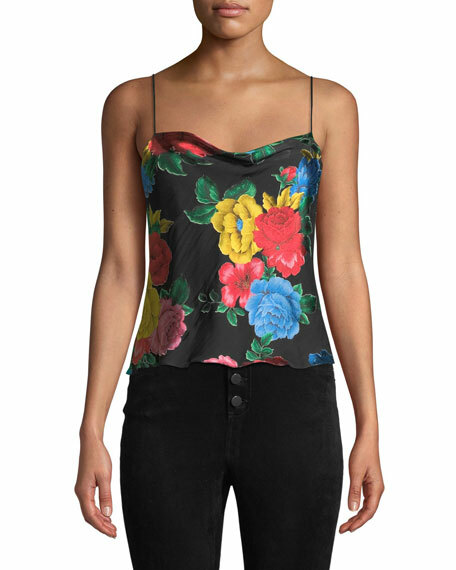 Elizabeth and James "Carlo P." silk tank in floral-print charmeuse. V neckline; open back. Sleeveless; spaghetti straps. Button-loop closure down front. Rounded high-low hem. Vented sides. Lining, polyester. Imported of Italian materials. Hanro "Ella" seamless knit top with 3D ornamental lace inset. Round neckline. Sleeveless. Styled with flat satin trims and a hemless bottom. Seamless* sides for the perfect fit. Fitted silhouette. Pullover style. Mercerized cotton. Made in Portugal.